Its not difficult to see why but Footybunker.com understands that all the money is piling in for Christiano Ronaldo in the first goalscorer markets as the countdown is on for the Champions League Final, which takes place in Cardiff at 19:45. 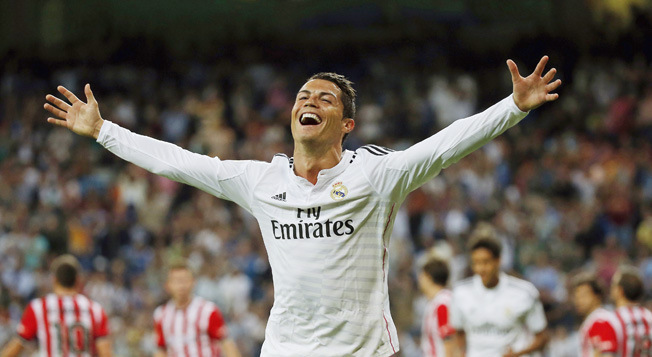 What are the Ronaldo First Goalscorer Odds? Its understandable that Ronaldo has now been backed into a 4/1 shot to find the net first in the Cardiff spectacle, and the Portuguese star is having a particularly excellent season, having fired Real Madrid to the Spanish La Liga title and is currently the top goalscorer in the Champions League competition. Ronaldo has remarkably hit 10 goals so far in his Champions League campaign, and his prowess in front of goal shows no signs of abating. A hatrick in the semi final first leg against Atletico merely cemented his place at the top of the markets and that 4/1 available surely will not last long. For Juventus, Argentinian Gonzalo Huguain looks to have all the credentials to upset Ronaldo in the market. The Juventus star has bagged five goals in the Champions League so far, and The Old Lady will have hopes that he can fire Juventus into the lead in Cardiff. One thing going for Juventus is that they have one of the best defensive records in the Champions League, securing a clean sheet in the semi final out in Monaco, and Massimiliano Allegri will be hopeful for another solid defensive display in the Welsh capital.